Universiti Malaysia Sarawak (UNIMAS) is the eighth public university in Malaysia, an d the first one initiated by the aspirations of Wawasan 2020. 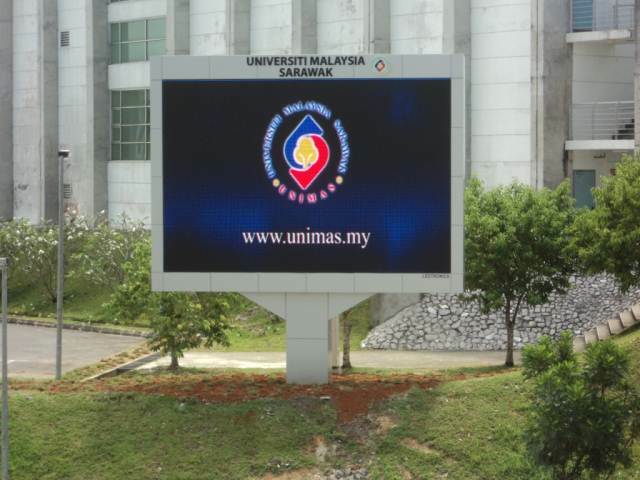 As of January 2012 the total student population of UNIMAS is 11,160 and the total number of staff is 2,143. 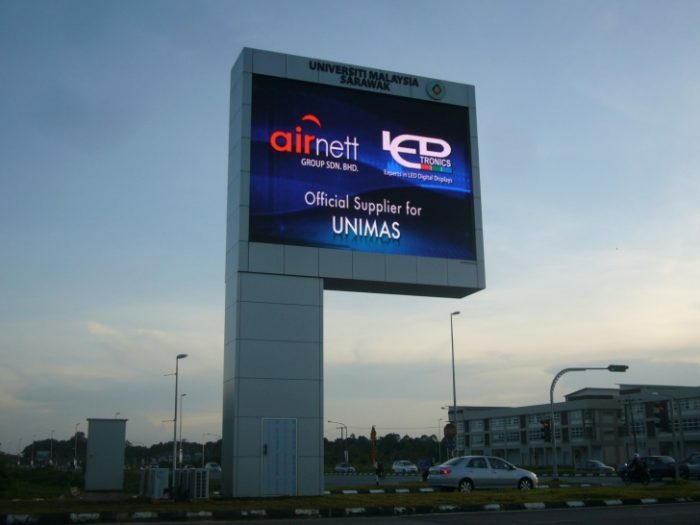 LEDtronics won the government tender to supply and install a total of four (4) nos. 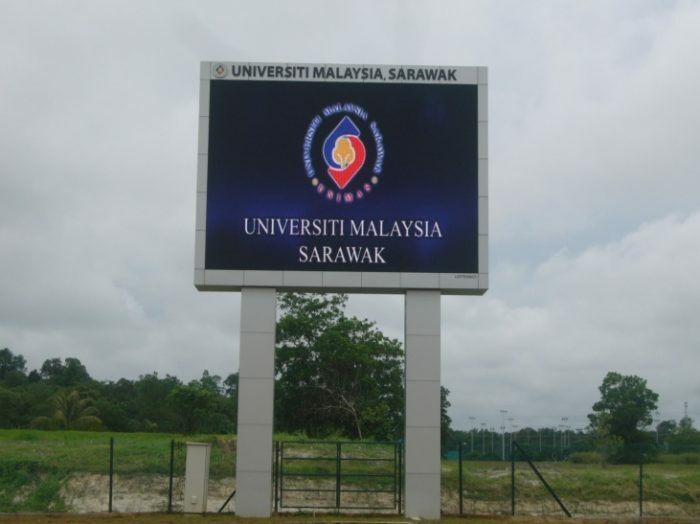 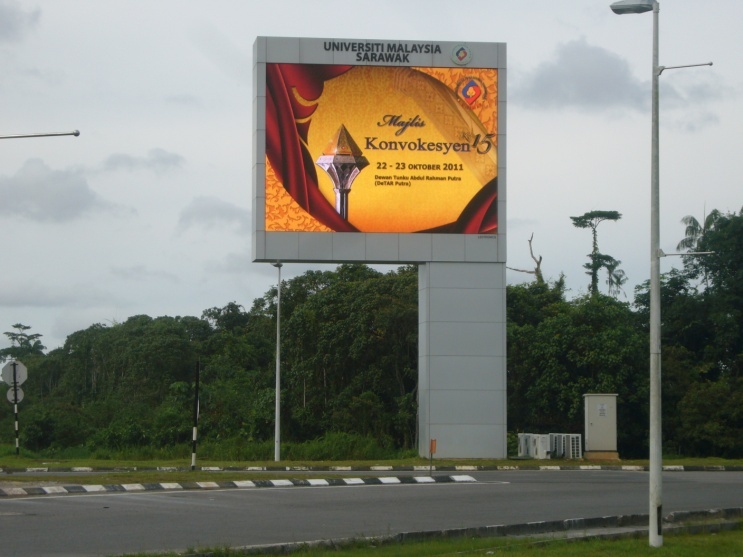 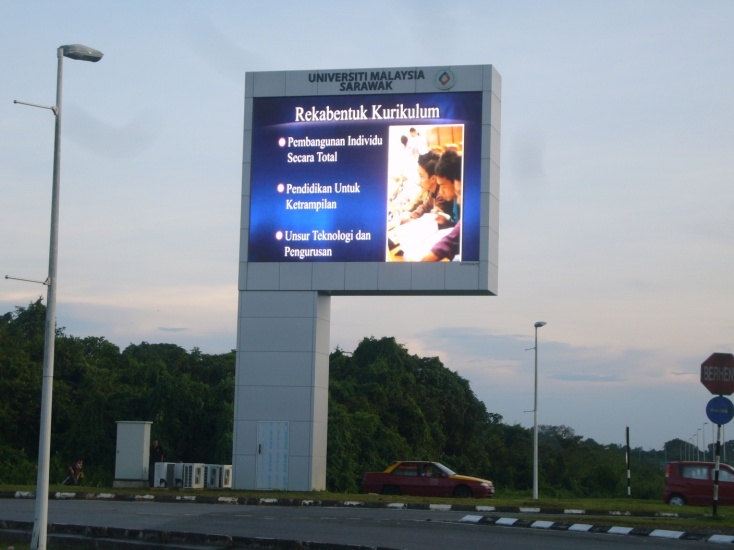 of high resolution LED displays to UNIMAS. 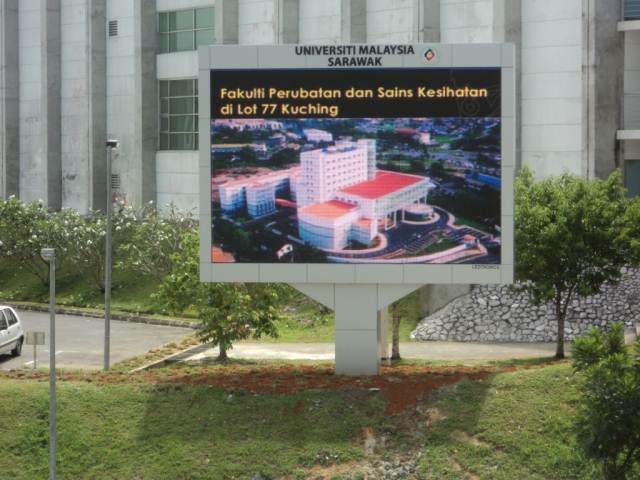 Two (2) nos. of LED displays measuring 5.1 m (H) x 7.2 m (W) will be installed at the university’s Main Entrance; one (1) no. 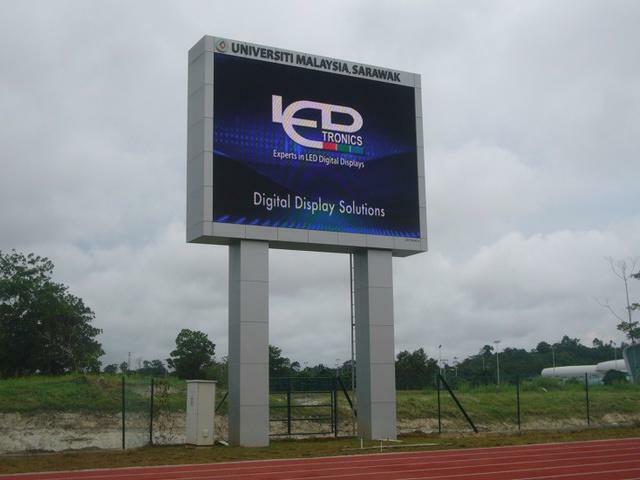 of LED display measuring 5.1 m (H) x 7.2 m (W) will be installed at the Sports Complex and one (1) no. 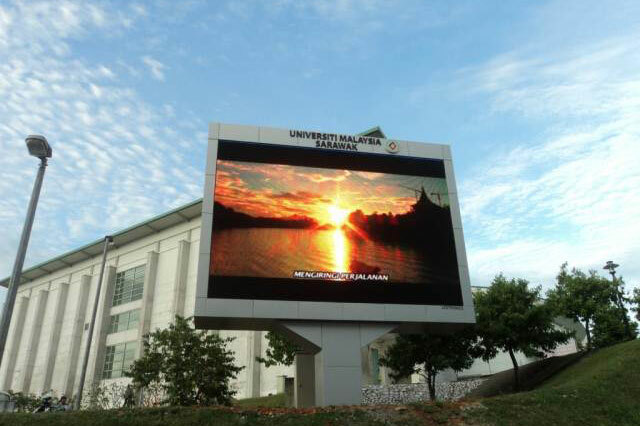 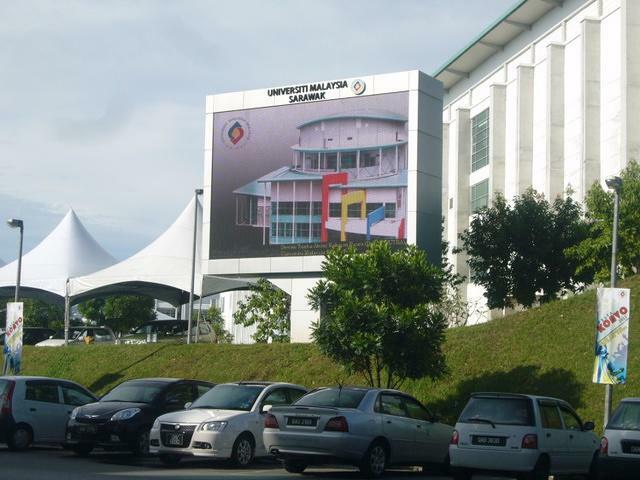 of LED display measuring 4.1 m (H) x 6.1 m (W) will be installed at the Hal Ehwal Pelajar. 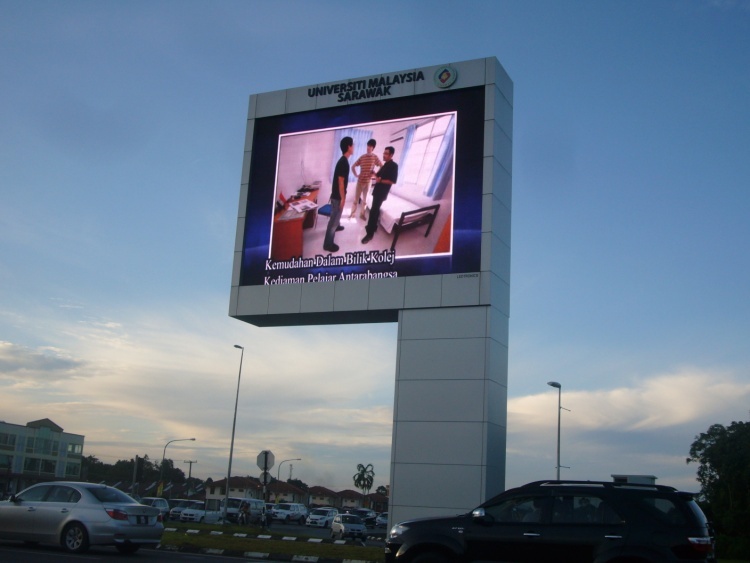 The overall installation was completed in October 2011.